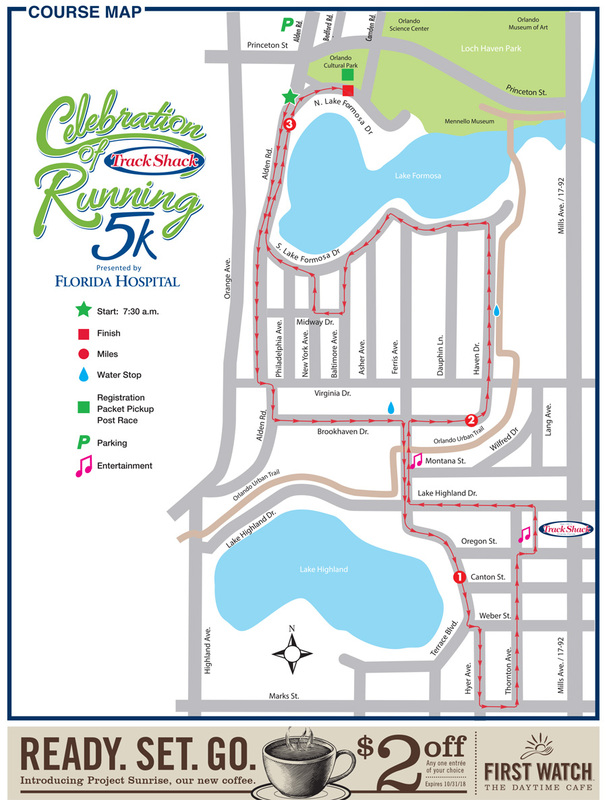 Runners and walkers will kick off the Track Shack Running Series on this 3.1 mile route that starts at the spectacular Orlando Cultural Park; passing by Track Shack and two beautiful lakes, Lake Highland and Lake Formosa, while enjoying two water stops and DJ entertainment along the route and receiving a stunning medal at the finish line! Special thanks to our new coffee & course map sponsor First Watch. Try Project Sunrise, the new coffee at First Watch. Print the map with coupon below and present it at any Orlando-area First Watch restaurant! Learn more about Project Sunrise and how First Watchis actively supporting the women coffee farmers of Huila, Columbia. 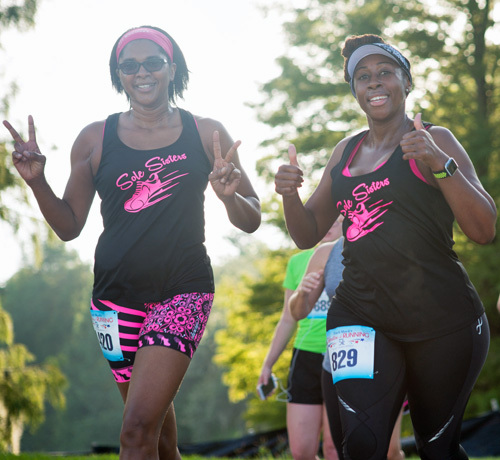 Use Facebook to Leave a Comment on Track Shack's Celebration of Running 5k Presented by Florida Hospital - 98% FULL - We'd love to hear from you!